This place has three distinct sections/personalities -- each of which has a crowd that helps put the "old" in Old Town Scottsdale. 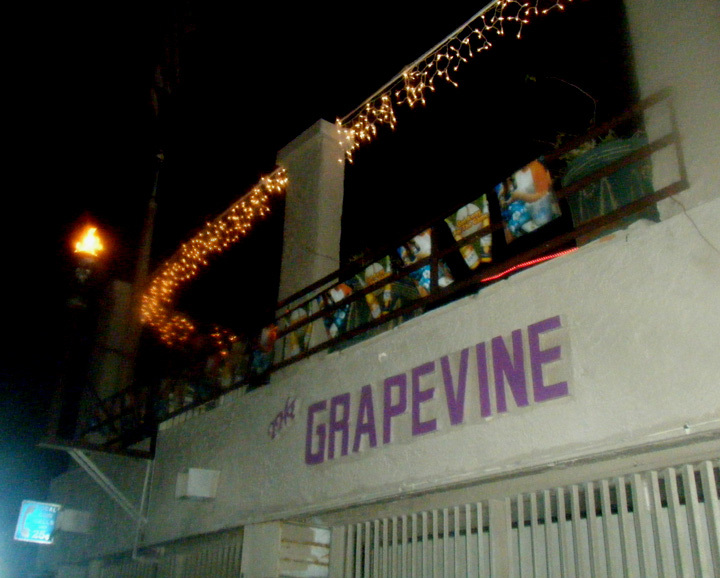 On entering there is a family Greek/Mediterranean restaurant, with the standard fountain and paintings of grape vines. Upstairs there is nice patio bar, which seems to draw mostly tourists. And in the back room of the lower portion there is a divey karaoke bar, which seems to be all long-time regulars.